Meet Bridget our new sewing tutor! Saturday 19th November between 10am and 12pm. Free, no need to book, just drop in! 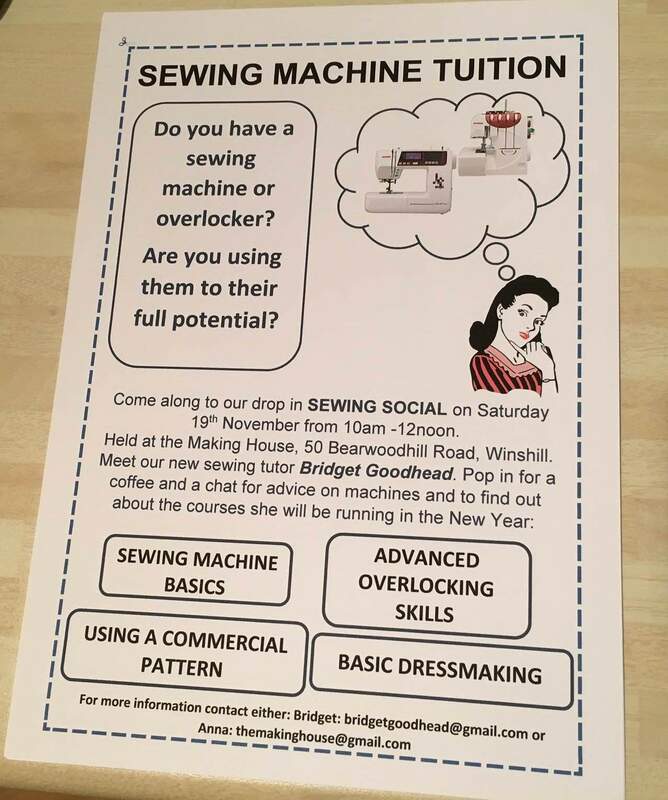 If you’re interested in learning to sew or developing your sewing and overlocking skills … then pop along to our sewing social, meet Bridget and found out about the courses she will be offering in the New Year.